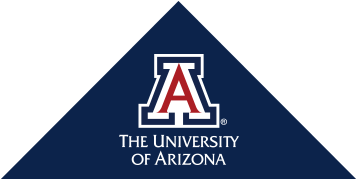 The University of Arizona Center for Integrative Medicine (UACIM) has created and is the Provider of the Integrative Medicine in Residency (IMR) educational program. Use of the Integrative Medicine in Residency online curriculum and its contents by the Participant is subject to the following Terms and Conditions. 1. Copyright and Other Protections. The content of the IMR is copyrighted by the Arizona Center for Integrative Medicine, the University of Arizona, and the University of Arizona Board of Regents. All content in the program and research done by the Provider is the Intellectual Property of the Provider and is protected by US copyright law (Title 17, US Code). All restrictions apply regarding duplication of the material, including video, audio, text, images, and other content, in any format. 3. Participant agrees to cite Provider in any reference to the outcomes and/or utilization of the IMR in any publications, promotions/presentations. Participant may be asked to share non-confidential educational outcome data from its initiative with Provider. 4. Coordinator functions and use of data and reports. The IMR program has built in coordinator and administrator functions. Requests for new functionality or data management by the Provider may result in additional costs. Participants may access existing features on the site like the dashboards and syllabus builder at any time. Requests for new reports, customized data or new views of data will be considered a distinct project and billed on a time and materials basis. 5. Fees and Payment. Participant agrees to pay an annual fee as specified on the UACIM website and invoices. c. All payments shall be made in US dollars and may be made either by check, credit card, or electronic funds transfer. All payments shall include a reference to the Invoice Number. 6. Termination. Provider may terminate access to IMR upon thirty (30) days written notice to Participant, if funding for providing services is no longer available; or performance of the services is substantially completed; or if circumstances beyond its control preclude continuation of the IMR. Participant may end access to the IMR upon ninety (90) days written notice to Provider, if circumstances beyond its control preclude continuation of the IMR. Participant shall pay for all services rendered until the end of access to IMR. The IMR is accessible until it is terminated by either party.